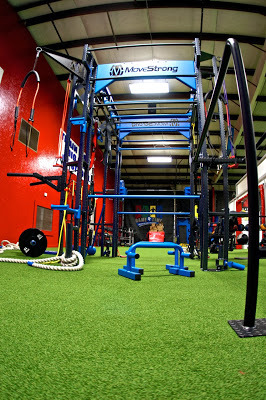 Game Time Sports & Training added the MoveStrong Club FTS to their performance based training facility located in Columbia, Tennessee. Game Time specializes in youth fitness and sports performance, but also caters to adult fitness. They plan to expand their offering to seniors and those with special needs. Equipped with tons of useful features like a Sliding Pull Up, Heavy Bag Anchor, Parallel Bars, and tons of anchor points, the MoveStrong Club FTS can accommodate several users at once. Other MoveStrong accessories, like the Sledgebell, Strength Logs, and M3 Bars, aid in strength and conditioning regimens for both youth and adults. 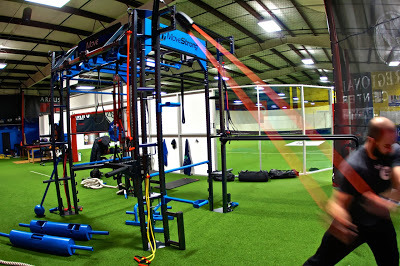 Now equipped with a complete MoveStrong functional training station, Game Time is ready to take youth sports performance training to the next level.